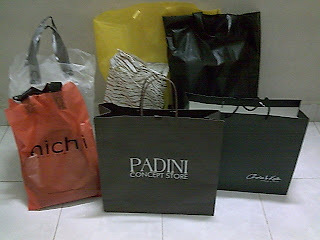 Ashikin Johari: I shop till i Drop. oops! yup. tht's wht i did today. went to OU ths mrning wth my momy n anuty. FYI, kalo shpng wth my aunty neh, she can go non stop i tell u. hah!. gle kntang weh kalo die shpng. aku pon kalah. =.=! ok2, mri brenti ngarot. mari tgk ape yg TER-bli td.. hehe. ter la sgt ko ni shikin. oke. ini yourstruly hehe. suke gdikk dpn cermin. tpoo kalo korng x. kn? kn?? ok. skarng tgk stu2 lak. clutch black and white snake skin pattern. 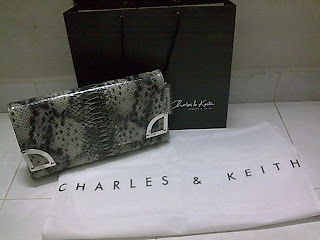 from charles and keith. 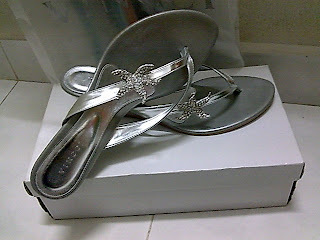 silver sandel for regular use to class. 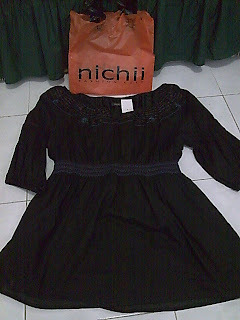 from vincci. 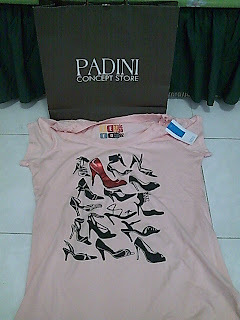 pink shirt wth stilettos printed. OMG!!!. i LOVE gle sgt bju ni. its like represent me. a shoeaholics. from Seed. black blouse/mini dress. so cute. from Nichi. blue clutch. 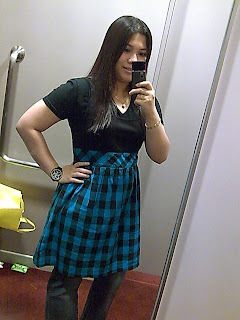 oh, da lme sgt2 nk clutch ni. last2, bli gak. its nice, yet classic. 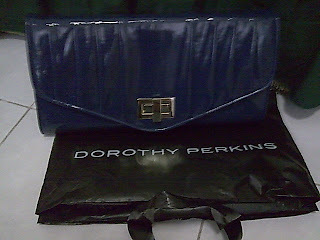 from Dorothy Perkins. 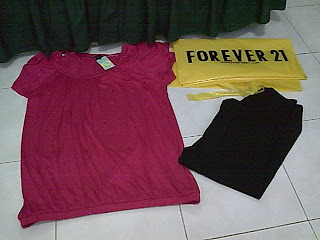 pink blouse and black short legging. 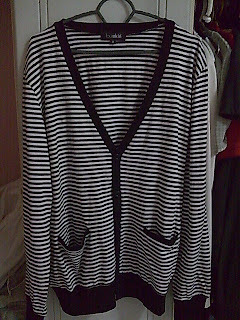 from Forever 21.
black and white stripe cardigan. from Fourskin. wahhhhhhhhhhhhh... i guess tht's all je kot pe bli td. ok dah. pasni jgn shpng for a long term. ceh, ye2 je ckp. jgn pecaye statement kt ats tuhh!!! *kaki sakit. due to jln alomost total 8 hours. demmit!*. YOU!!!! I think my sis have the exact cardigans as yours!!!! to farah : eh?? sme ke oja? ?